With her education in Art history and Psychology, Amy naturally thought about working in a museum or being an art therapist after she graduated. But, a move to San Diego, and a chance meeting with VIA Technical CEO Natalie Viani while they were both out walking their dogs, changed all that. 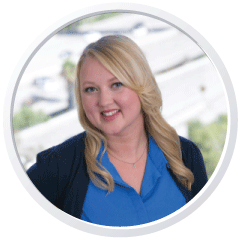 Amy is able to apply her passion for creativity and connecting to people, each day in a position that utilizes both! But her favorite aspect of working with VIA is providing the best assistance she can to the talent VIA matches with companies. She’s on a mission to prove that working with a recruitment firm can and should be a wonderful experience for candidates and they are joining a group that truly cares for them. Being the technical and operational “nerd” who figures out how to make everyone’s day run a little easier, and keep the ship running smoothly. From administrative duties, to accounting, to being the office “go-to,” she loves the variety of each day and being able to help. Walking her fluffy white rescue pooch, “Milhouse” and giving equal time to her cat “Ferris.” She’s an animal lover and advocate for them in her volunteer work. In her off time, she loves reading biographies, exploring the city, and finding ways to be creative.